"Something" song by The Beatles. The in-depth story behind the songs of The Beatles. Recording History. Songwriting History. Song Structure and Style. You can't rush a good thing. This phrase is certainly true when describing George Harrison composing his highly acclaimed song "Something." George had been known to take his good old sweet time when composing a song, maybe many months, something he would admit in interviews throughout his Beatles career. He also used to be quite self conscious about his compositions, not sure if they were good enough to be included among the Lennon/McCartney songs on a Beatles album. 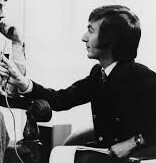 "I haven't got a clue what's commercial and what isn't," George stated to interviewer David Wigg in 1969. And this certainly was the case with "Something." 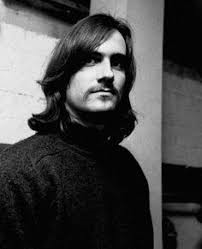 At the time, The Beatles were recruiting artists for their newly formed Apple Records and George had secured a recording contract with old friend Jackie Lomax. He was wanting to supply Lomax with a song that would be suitable for a hit single, giving him a good head start on a successful recording career. 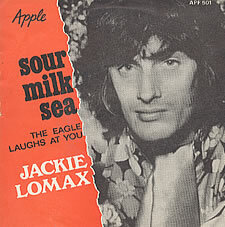 In the end, George gave him another song he had written that year, “Sour Milk Sea,” which did indeed get released by Jackie Lomax as his first single. 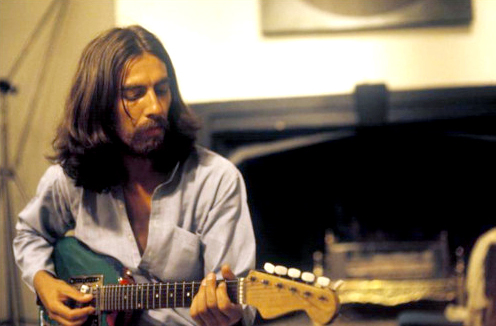 By February 25th, 1969, George's 26th Birthday, George had completed writing his song “Something,” the evidence being a simple but breathtaking demo he recorded at EMI Studios on this day. 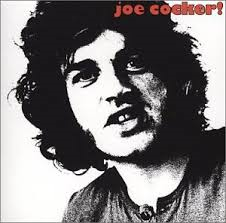 Still not sure what to do with the song, he offered it to Joe Cocker to record for his second album, George being impressed by his soulful version of “With A Little Help From My Friends” which had become a British #1 hit in late 1968. 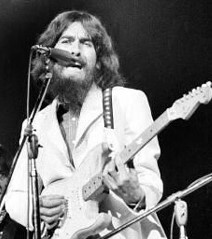 George even played guitar on Cocker's version of "Something," which eventually was released on his album “Joe Cocker!” in November of 1969. "'Something' was written on the piano while we were making the 'White Album,'" George explained in 1980. 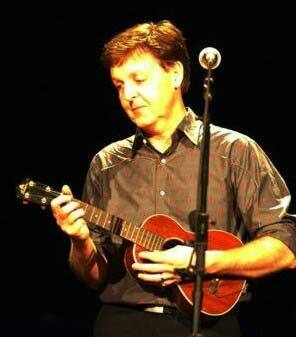 "I had a break while Paul was doing some overdubbing so I went into an empty studio and began to write. That's really all there is to it, except the middle took some time to sort out. It didn't go on the 'White Album' because we'd already finished all the tracks." 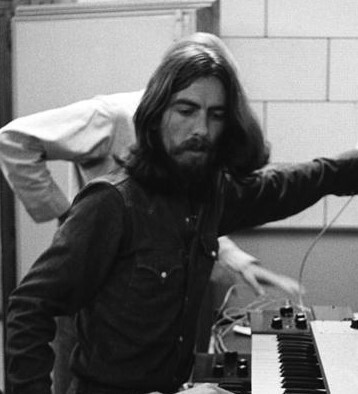 It can easily be presumed that George wandered into one of the open EMI studios sometime in the first two-and-a-half weeks of September, 1968, to start work writing what became “Something.” Producer Chris Thomas's recollection of hearing George play the song on harpsichord on September 19th, as mentioned above, appears to indicate that a good portion of the verse melody was written with some lyrics being in place, although the climactic bridge didn't exist yet. 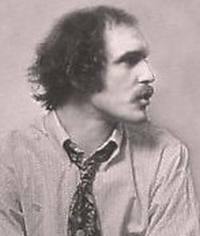 James Taylor was one of the first artists to be signed to The Beatles label Apple Records. "I'd written 'Something In The Way She Moves' about two years before I recorded it," Taylor explained in Steve Turner's book "A Hard Day's Write." "I'd made a tape of (the song) and about seven other songs about a couple of months before I met (Apple producer) Peter Asher. I know Paul listened to it at Apple but I'm not sure who else listened to it...I've always assumed George must have heard it but I never actually spoke to him about it." 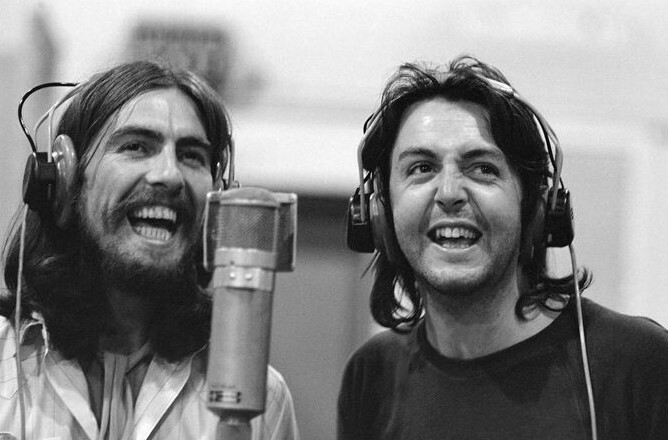 Similar to Paul when writing “Yesterday,” George was blown away by how easily such a catchy song came to him, thinking he must have heard the melody somewhere before. “I wrote the main part of that and then I, sort of, just put it on ice for six months because I could never think of the words for it and thought, 'That is too easy. It sounds so simple. It must be something,' because, once I got into writing it, the first change, 'Du, du, du, du, du, du, dah.' Once I made that change, everything just followed, you know. ''Dah, duh,' all those chord changes, and then, the chord progression seemed to follow naturally. So I thought it must be something else, but it wasn't." 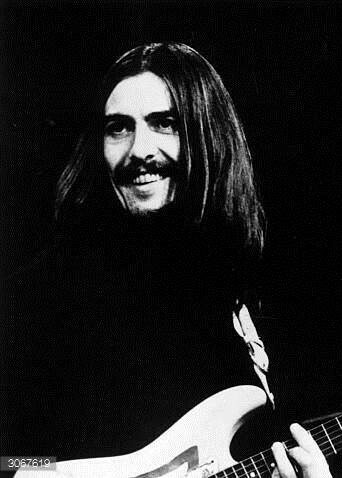 George took it off ice on January 28th and 29th, 1969, during the final days of the sessions for what became the “Let It Be” album. While in their new Apple Studios on January 28th, George ran through the song various times with The Beatles, asking for lyrical suggestions. “What could it be, Paul, 'something in the way she moves,' something like that, 'attracts me like...' I couldn't think of what attracted me at all!” George exclaims exasperatingly to his bandmates. John suggests, “Just say whatever comes into your head each time, 'attracts me like a cauliflower,' until you get the word.” George later humorously inserts the word "pomegranate" in order to parse out the syllables. This rehearsal, which was taped and is available to hear on bootlegs, is an interesting listen, giving a 'fly on the wall' demonstration of how a great song is written. The Beatles batted around ideas, John seemingly coming up with what became the lyric “Don't want to leave her now, you know I believe and how,” and George playing around with what he called a “counter melody” that he would sing in a higher register during the verses. 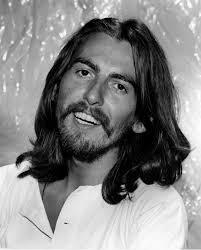 George did have the melody of the bridge written at this point, as well as the lyrics for the third verse. They goofed around with lyrical ideas for the bridge, coming up with things like “Well, did you know who missed the show?,” “Fancy Joe missed the show,” “Where did you go, Mr. Show? I don't know” and so on. Fortunately, this Tomfoolery was used only as a template for George to formulate proper lyrics later. 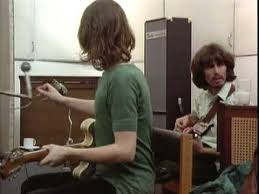 The next day, January 29th, 1969, George ran through the song instrumentally which prompted John to exclaim "Just going through the requests" which prompted the rest of the band to join in. John began to sing whatever he could remember of the lyrics from the previous day and then, after the song dissolves after the third verse, he states, "OK, should we get on with the rock 'n' roll show?" Therefore, no additional writing of "Something" occurred on this day. By February 25th, 1969, when George recorded his demo in EMI Studios as mentioned above, all the proper lyrics were in place. But were there any other inspirations for the song? 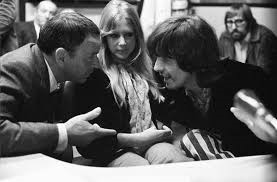 “Maybe Pattie, probably, I think,” he replied when asked in 1969, referring to his wife Pattie Boyd. "He told me in a matter-of-fact way that he had written it for me," stated Pattie in her book "Wonderful Tonight." "I thought it was beautiful - and it turned out to be the most successful song he wrote, with more than a hundred and fifty cover versions...My favorite was the one by George Harrison, which he played to me in the kitchen at Kinfauns." As the years went on, however, George began to distance himself from the thought of "Something" being written about his then wife. "Everybody assumed I wrote it about Pattie," he complained in 1996. 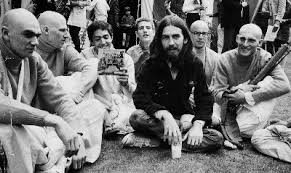 Author Joshua Green attests to George explaining to his friends from the Hare Krishna Movement that the song was directed to Krishna himself. 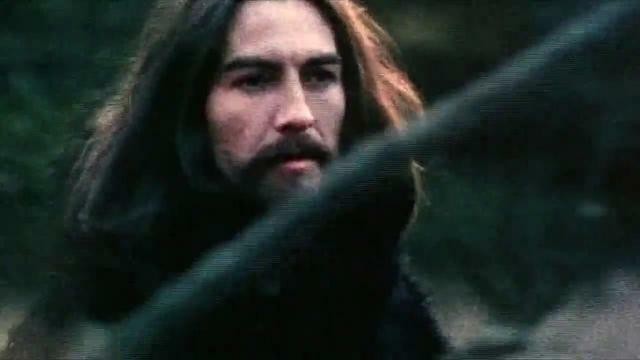 While he did admit to writing love songs directed to God (as with "Long, Long, Long" from the "White Album"), referring to his creator as "she" and as a "lover," as in the lyrics to "Something," would be somewhat unusual for him. As far as musical inspiration, George explained at the time: “When I wrote it, I imagined somebody like Ray Charles doing it. 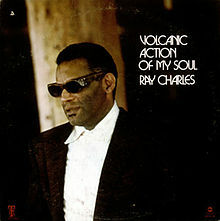 That's the feel I imagined, but because I'm not Ray Charles, you know, I'm sort of much more limited in what I can do, then it came out like this.” Ray Charles did record a version of it two years later, his version being released on his “Volcanic Action Of My Soul” album. Apart from the studio time that was used for writing and rehearsing the song as outlined above, the first time George's song "Something" was purposely put down on tape in the studio was on February 25th, 1969. The future of The Beatles was somewhat uncertain at this point. The tapes from the month-long “Get Back / Let It Be” sessions were in a stack waiting for someone to go through and put in a releasable state, something that would be toiled over and then shelved because they were deemed unsuitable for public consumption. Legal problems were mounting regarding their Apple enterprise as well as managerial decisions. 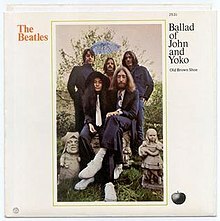 John's primary focus was on promoting his and Yoko Ono's artistic and demonstrative exploits, his attention to The Beatles being pushed way in the back of his mind. 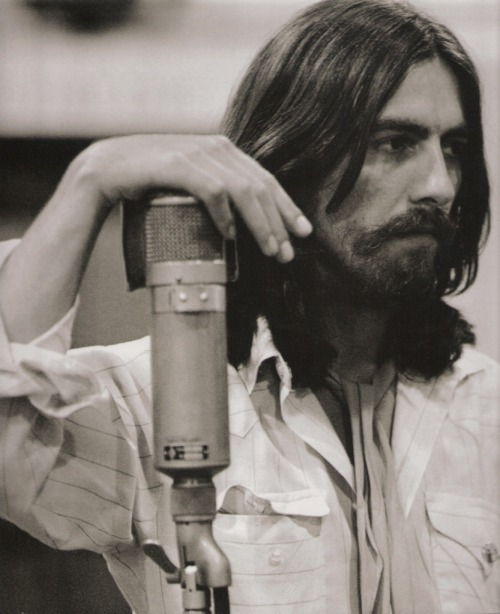 These demos were somewhat elaborate recordings using the studio's eight-track recording equipment, George laying down multiple guitar parts, vocals and even piano at times. 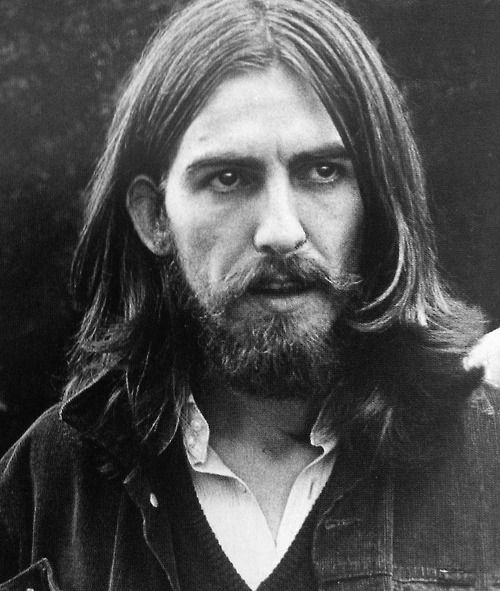 The first demo recorded on this day was “Old Brown Shoe,” which did get officially recorded by The Beatles in April and ended up as the B-side to “The Ballad Of John And Yoko.” The second demo of the day was the pretty “All Things Must Pass,” which the group did indeed pass on altogether, George recording it himself the following year for his first official solo album. The third demo recorded during this February session, however, was the gorgeous “Something,” which was a very simple but effective version that does very well in bringing out the beauty of the melody. This was the least elaborate of the demos he recorded, just a simple electric guitar and lead vocal. During the bridge, George simply sings “doo, doo, doo” to simulate the descending notes he wanted to appear there. And during the solo verse, George vocally ad libs what some consider a lost verse which consist of the following lyrics: “You know I love that woman of mine / and I need her all of the time / you know I'm telling you / that woman, that woman don't make me blue.” All of the other lyrics have been written at this point and are in their proper place on this demo. George, however, had not worked out the dramatic conclusion of the song yet, this being figured out in the studio in later months. This demo ended with another verse played instrumentally with George adding in a final “you know I believe and how” just before he concludes the song with his final riff with a subtle raised chord as a nice touch. Beauty at its finest! 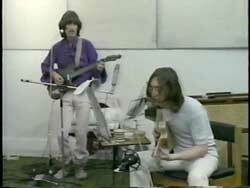 They recorded thirteen takes of “Something” on this day, these consisting of George on guitar, George Martin on piano, Paul on bass and Ringo on drums, no vocals being put to tape at this point. 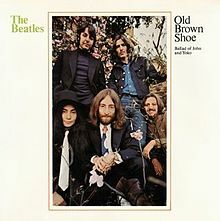 John was still present but did not contribute to the song as he had done on “Old Brown Shoe” in the earlier portion of this session. All of the work they had done on "Something" on this day was for naught, unfortunately, because none of these takes were deemed worthy enough for overdubs, the session ending at 2:45 am the following morning after stereo mixes of “Old Brown Shoe” were made. George's beautiful ballad was put on the back-burner once again for another two weeks or so. The Beatles, however, were back on a roll. With the possible thought of recording new songs to spruce up the yet-to-be-released “Get Back / Let It Be” album, they started working on new material. 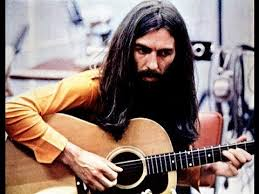 This being the case, George thought to try again with “Something,” starting from scratch in EMI Studio Three on May 2nd, 1969, the session beginning around 7 pm. Totally disregarding the thirteen takes of the song they attempted two weeks prior, the takes of this re-make of “Something” began at 'take one' again, a total of 36 takes being recorded this time around. 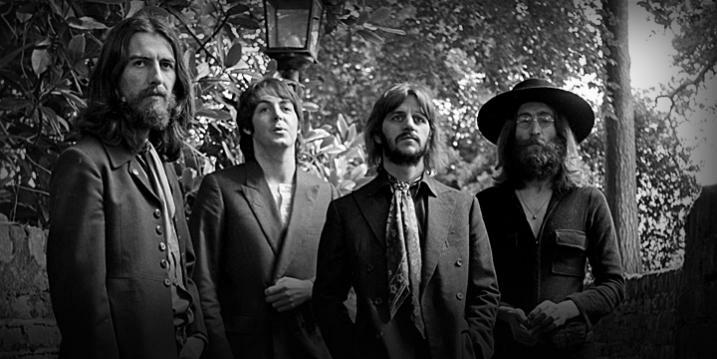 The instrumentation played on the official rhythm track, which was recorded on this day, has been debated by different sources, but all the evidence, audio as well as documentation, suggests the following: George on electric guitar, Paul on bass, John on piano, Ringo on drums and Billy Preston on Hammond organ. No vocals were present on the recording as of yet. The group took a two hour break between 11 pm and 1 am, they resuming the rhythm track takes until 'take 36' was decided upon as the best. 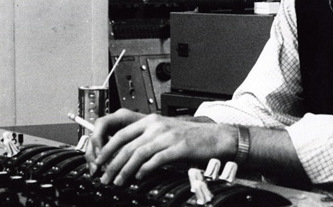 However, at the conclusion of this take, as with at least some others of these takes, John led the group through what Mark Lewisohn describes in his book “The Beatles Recording Sessions” as “a long, repetitious and somewhat rambling, piano-led four-note instrumental fade-out,” which extends 'take 36' from 3:00 to 7:48. 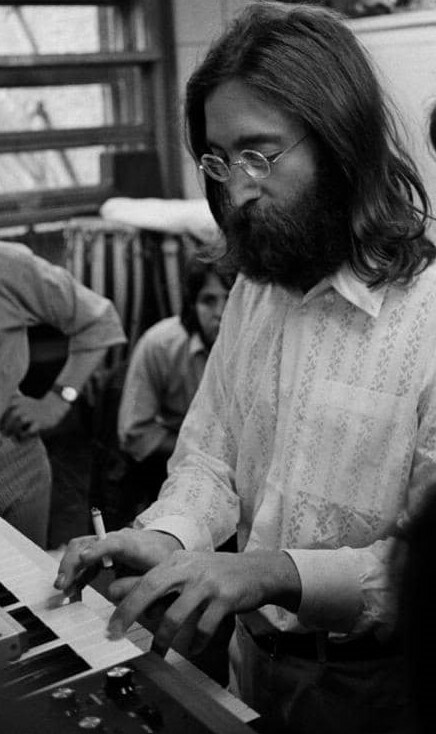 This piano doodling from John eventually became the four-chord riff that permeates his solo song “Remember” from his highly renowned 1970 album “Plastic Ono Band.” This, as well as the somewhat simplistic piano work heard on “Something,” reveals that it was indeed John on the piano during these rhythm track takes and not Billy Preston as Mark Lewisohn suggests in his writings. It is audibly obvious, also, that an actual Hammond organ played with much finesse is heard on this rhythm track and not George on guitar “via a Leslie speaker” as documented by Lewisohn. George is indeed present, however, on lead guitar. In any event, the session was finally complete at 3:40 am the following morning, overdubs being left for another day. 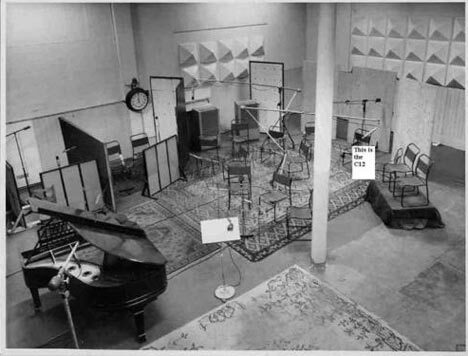 Apparently EMI Studios was not available the following week because The Beatles booked their next few sessions at London's Olympic Sound Studios. 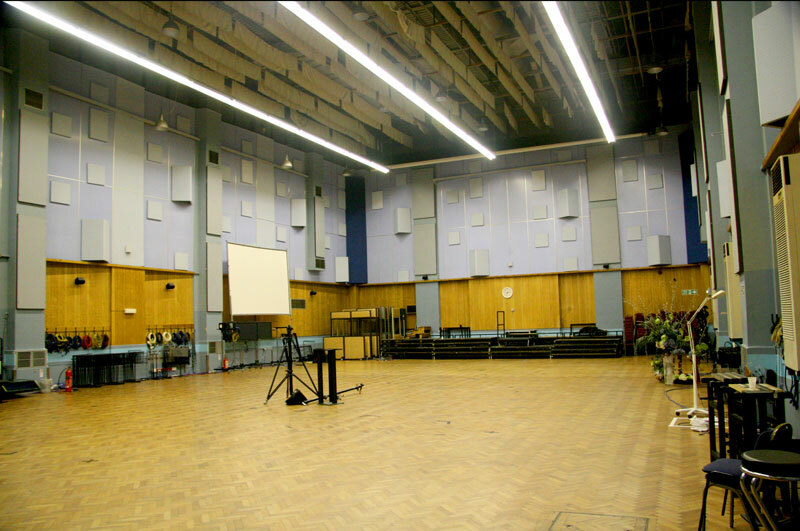 They arrived in Studio One at these facilities on May 5th, 1969 at 7:30 for the sole purpose of recording overdubs onto 'take 36' of “Something,” the master tape being brought with them from EMI Studios. Although this session is documented to have stretched from 7:30 pm to 4 am the following morning, not very much was accomplished. 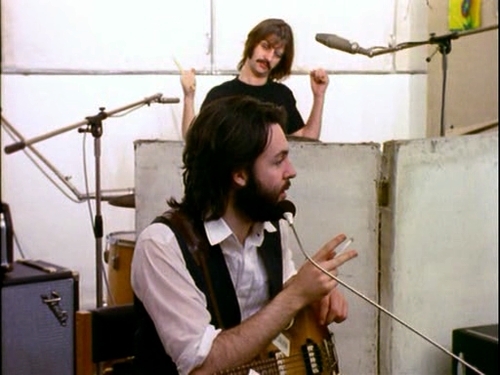 Paul improved on his bass track and George did the same on his guitar track, which “The Beatles Recording Sessions” book indicates as being played through a Leslie speaker. After one additional recording session the following day, which began the recording of Paul's “You Never Give Me Your Money,” The Beatles began a hiatus from the recording studio that lasted nearly two months, the exact future of the group still up in the air. On July 11th, 1969, the group did turn their attention back on to “Something,” the group entering EMI Studio Two at around 2:30 pm on that day. 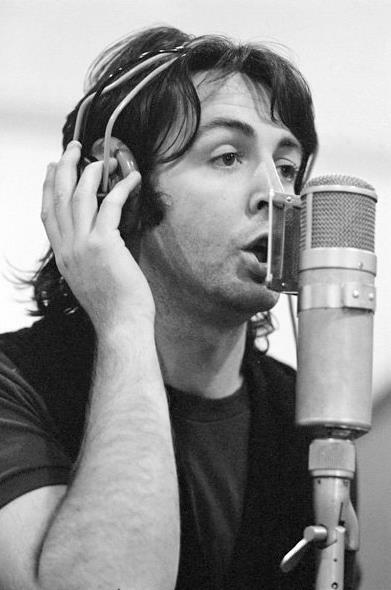 After some slight work on Paul's song “Maxwell's Silver Hammer,” George recorded his first lead vocal onto “Something.” This being accomplished, producer George Martin and engineers Phil McDonald and John Kurlander created four rough stereo remixes of the song as it stood at that moment. A reduction mix was then made which turned 'take 36' into 'take 37.' After a little more work on Paul's “You Never Give Me Your Money,” they called it a day at around midnight. A noteworthy point here is that "Something" still contained 2:32 of the “rambling” piano-led fade-out of the song, the complete track lasting a total of 5:32 after the reduction mix was made. This would seem to indicate that they were considering leaving in a sizable portion of this aimless noodling at the end of the song, fading it out after a while. Luckily for us a decision was made to cut it off entirely at a later stage in the recording process. 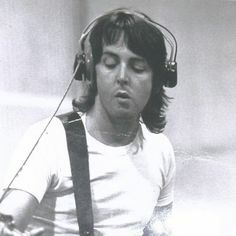 Attention went to “Something” yet again during the second recording session held on July 16th, 1969, in EMI Studio Three. 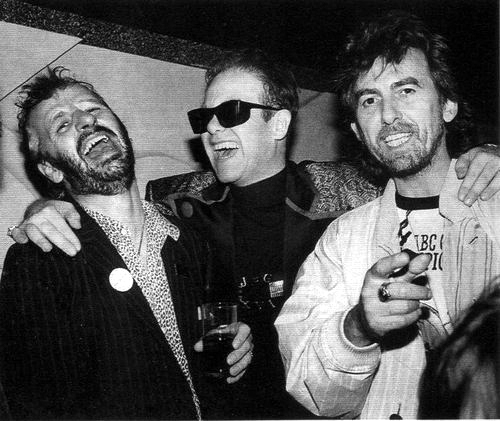 This session began at 7 pm with full attention being put on George's song, he improving on his lead vocal while Paul added backing vocals and the two of them along with Ringo provided handclaps. Interestingly, these overdubs were recorded onto 'take 36,' which totally disregarded the 'take 37' reduction mix that was made on July 11th. 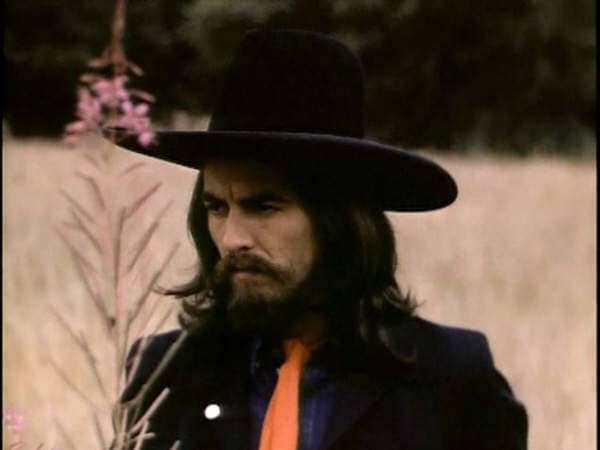 With the deadline for completion of the “Abbey Road” album looming, George was concerned as to whether his two songs on the album were acceptable for inclusion on the album or not. 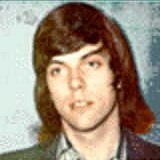 With this in mind, he ducked into the control room of EMI Studio Three on August 4th, 1969 at around 7:15 pm, just after the vocal harmony work on John's “Because” had been completed, to have engineers Phil McDonald and Alan Parsons make rough stereo mixes of both “Here Comes The Sun” and “Something.” These mixes revealed to George that more work was required for both songs, an acetate of “Something” being made to give George Martin for him to write an orchestral score for the song. At 8:45 pm, he possibly popped back into EMI Studio Two to give George Martin this acetate disc, that session ending at 9 pm. 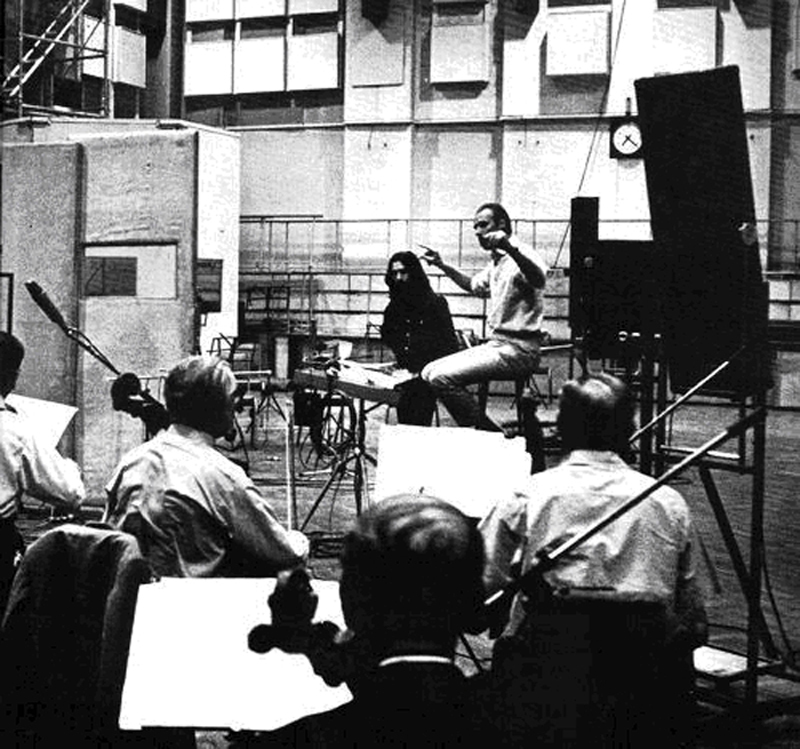 A week-and-a-half later, on August 15th, 1969, George Martin had the orchestral score ready for, not only “Something,” but for three other “Abbey Road” songs that an orchestra was required for. 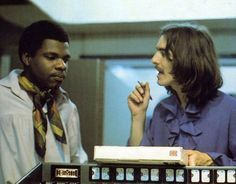 “So far, every instrument on 'Abbey Road' had been played by one of the four Beatles,” Geoff Emerick relates, not realizing that Billy Preston did appear on some earlier tracks, including "Something," that he wasn't present for. "That was fine with John, but not with Paul or George Harrison, both of whom wanted orchestral instruments added to a few of their songs. 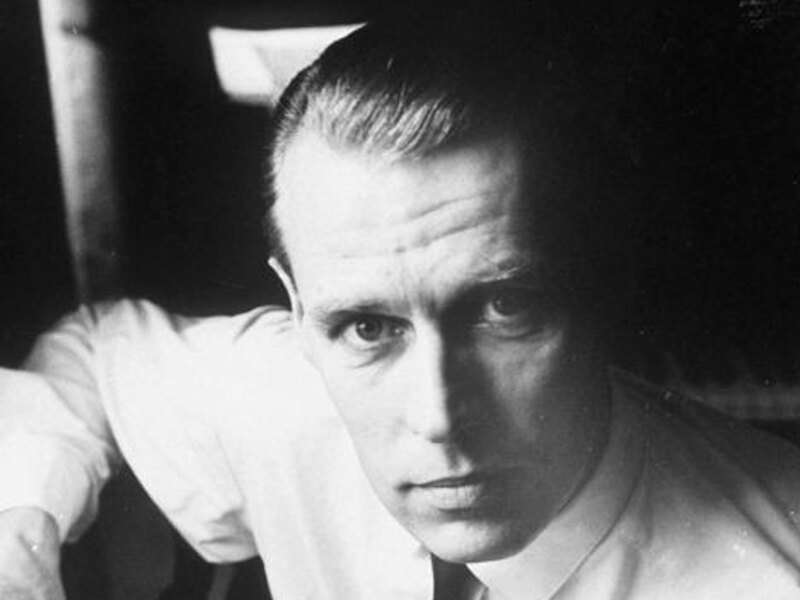 Accordingly, George Martin wrote some arrangements and booked London's top players for a single marathon session.” Because the deadline for finishing the album was close, and in order to save money, one day was set aside to record the orchestral arrangements for all four of these songs, these being “Golden Slumbers / Carry That Weight,” “The End,” “Something” and “Here Comes The Sun.” The day chosen was August 15th, 1969. Mark Lewisohn, in “The Beatles Recording Sessions,” gives even more detail as to George Harrison's role on this day. “For 'Something,' George Harrison shuttled back and forth between studio one, where he shared the conductor's podium with George Martin for a time, and studio two, where he oversaw the sound recording, virtually as 'producer,' and where – on the floor of (studio one) – he taped a new and memorable lead guitar solo for the song's middle eighth – actually, barely different from the song's previous best guitar track.” After this elaborate overdub onto 'take 39' of “Something” was complete, they accomplished the same for “Here Comes The Sun” and ended the session by 1:15 am the following morning. 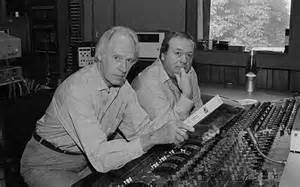 The stereo mix for “Something” was done on August 19th, 1969 in the control room of EMI Studio Two by George Martin and engineers Geoff Emerick, Phil McDonald and Alan Parsons. Ten attempts at this stereo mix was attempted, undoubtedly the tenth attempt being the keeper. With the addition of the orchestral arrangement, out went any trace of the rambling instrumental jam from the rhythm track that they apparently intended to end the song with up to this point, the recording staff omitting it from every one of these stereo mixes. 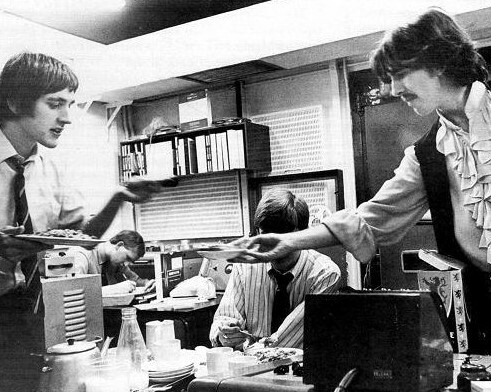 George Martin and Geoff Emerick created a mix of the original demo that George Harrison made on February 25th, 1969 for inclusion on the 1996 Beatles compilation album “Anthology 3.” Then, sometime between 2004 and 2006, George Martin and his son Giles Martin returned to the master tape of “Something” to create a mash-up version for inclusion in the Cirque du Soleil production of “Love,” this being released on the companion album of the same name. This unique version was titled “Something (with 'Blue Jay Way' transition)" and also features elements of “Hey Bulldog,” “Nowhere Man” and, rumor has it, their 1967 sound experiment “Carnival Of Light." Paul recorded three versions of his rendition of George's "Something," the first of these live performances being sometime between April 1st, 2002 and May 18th, 2002, this appearing on his albums "Back In The U.S." and "Back In The World," the second being on November 29th, 2002 at London's Royal Albert Hall which appears on the album "Concert For George," the third being sometime between July 17th and 21st, 2009 at Citi Field in New York City which appears on the album "Good Evening New York City." Beautifully written songs don't need to be complicated in structure. This is definitely the case with "Something," its format consisting of 'verse/ verse/ bridge/ verse (instrumental)/ verse' (or aabaa) with a simple introduction and a couple extra concluding measures added on at the end. After a triplet-like drum fill from Ringo, the identifiable one-measure riff of the song, which is usually heard at the end of each verse, is used as the introduction to the song. 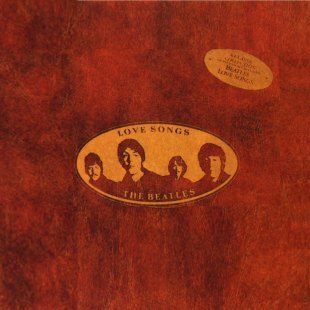 This follows the pattern set by George Martin early in The Beatles career where he would suggest starting off the song with the most identifiable segment, such as with “She Loves You” and “Can't Buy Me Love,” instead of just plunging head-first into the first verse as presented by the composers. This quick but suitable introduction consists of George on both lead and rhythm guitar, Paul on bass and Ringo on drums playing accents on the three main beats of the riff, an overdubbed cymbal swell being heard at the end which crescendos at the downbeat of the first verse that follows. This is a delicate touch in arrangement that suits the song very nicely, this probably being a George Martin suggestion that was recorded during the orchestral performance. The first verse then appears, which is nine measures long with the final measure consisting of a repeat of the introductory riff. George sings single-tracked throughout the verse except for the seventh and eighth measures on the lines “I don't want to leave her now / you know I believe and how,” which is double-tracked. George's rhythm guitar and Paul's melodic bass line propel the verse while Billy Preston's organ works as a suitable pad to fill out the sound. John's piano, which was heard so prominently in the rhythm track, is panned completely out of the picture here, apparently deemed unnecessary for the arrangement. Ringo plods along simply and appropriately on drums, adding a sixteenth-note drum fill in the second measure and delicate accents on the snare and cymbal in the ninth measure. Another slight cymbal swell can be quietly detected that crescendos on the downbeat of the ninth measure. George kicks in with some lead guitar in the seventh through ninth measures, climaxing with the iconic guitar riff in the final measure. Billy Preston comes to the fore in the seventh and eighth measures with eighth-note chord stabs and then playing the guitar riff with George in the ninth measure, this transcending into the second verse that follows. The orchestra subtly appears for the first time in measures seven through nine, playing lushly but quietly as a backdrop as it moves into a more prominent role for the second verse. Verse two is similar in number of measures and in arrangement, but with the orchestra being more to the fore. 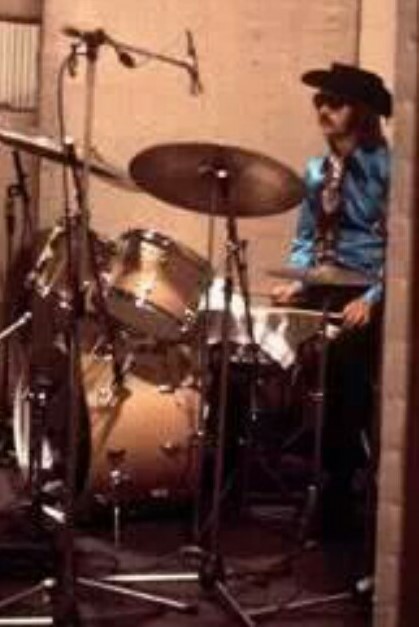 Ringo does contribute an additional drum fill at the very end of measure six, this one being in triplet form again. The most notable difference in this verse, however, is the final note of the iconic guitar riff in the ninth measure that changes the last chord dramatically to A major instead of the usual C major. This acts as a climactic transition to the high energy bridge that follows. The ninth measure of this verse highlights Paul's less-than-subtle “lead bass” playing to get us to the bridge, a swirling organ sound from Billy at the very end taking us there as well. The bridge is a standard eight measures in length. George's lead vocals are double-tracked throughout, Paul providing a higher harmony to help elevate the emotional impact of the bridge. 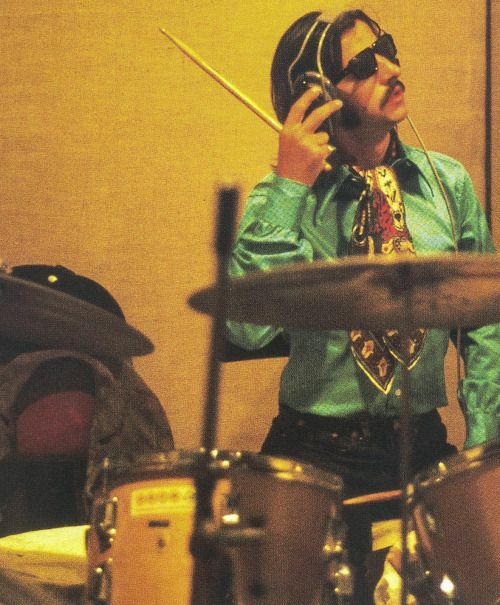 Ringo plays an alternating hi-hat and tom triplet beat in measures one, two and three, and then five, six and seven. In both measures four and eight, Ringo plays accents along with the rest of the instrumentation which descends down the scale per George's vocal instruction in his demo, measure four in the key of A major and measure eight going back to the home key of C major. The strings get quite lush for effect throughout the bridge, as does Billy's organ. George's rhythm guitar carries things along and, for the first time in the song, John's piano helps to fill the elaborate sound landscape, especially heard in the final measure as the song settles back into the home key. The instrumental verse is next which, of course, features George's fluid guitar solo which was played simultaneously with the lush string backdrop that is heard with it. 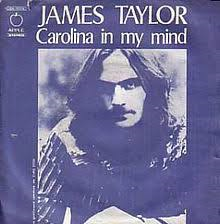 The rhythm instruments, namely the guitar, organ and piano, are more in the background to allow George's solo to shine, Paul's bass work slightly competing for attention but low enough in the mix so as not to distract. 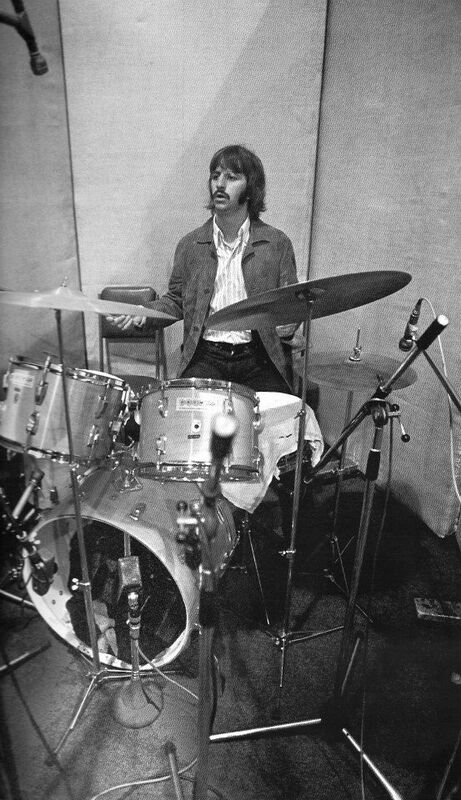 Ringo rides on the cymbal throughout this verse, performing fills in measures two and four, the latter one as an impressive fast roll on the toms. As the guitar solo evolves into the guitar riff in the ninth measure, Bill's organ chops swell into a dramatic conclusion of this section of the song. The final verse is then heard, which is twelve measures long to include the stellar conclusion. 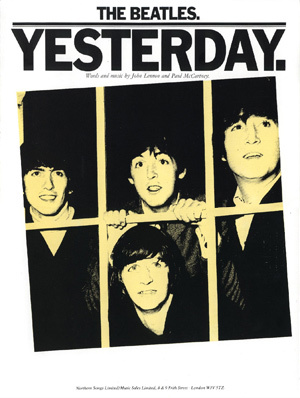 The instrumentation is identical to the second verse with its backdrop of orchestra, the most noticeable difference being Paul's effective higher vocal harmony throughout the first six measures. During the buildup of measures seven and eight, we hear an early lead guitar flourish in measure eight which resulted in George accidentally missing the first two notes of his iconic guitar riff in measure nine. Not to worry, though, because the orchestral score and Billy's organ hits these notes for him. As a conclusion to the song, this riff takes us back up momentarily to A major as we heard at the end of verse two, but after a noteworthy high descending guitar flourish from George, we hear the riff played again with great volume and a feeling of finality, this time satisfactorily landing in the home key of C major with a final crashing cymbal and pulled guitar chord from George to ring out with the orchestra. Simply breathtaking! With full participation from all four Beatles as well as George Martin, George Harrison's beautiful ballad was given the well deserved attention that the song deserved. 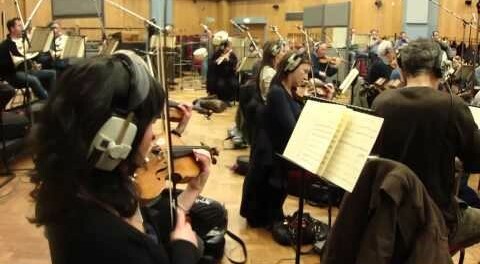 George's masterful lead guitar work shone brilliantly alongside his producer's unobtrusive but lush backdrop of strings. Paul's bass contribution weaves a counter-melody of sorts that works nicely to fill in the lyrical gaps while also putting in his usual talents as harmony vocalist. Ringo worked hard to play what would fit in perfectly within the arrangement, performing in top form. John's piano also works nicely in the bridge and, while not particularly essential to the arrangement, shows him cooperative on a “Harrisong” this time around unlike past times where he just feigned interest. 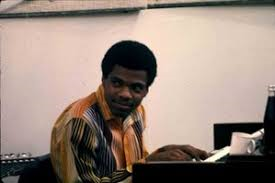 Billy Preston also put in an appropriate gospel-tinged element to the recording which did become an essential ingredient in the mix. Although a hand-clapping overdub is documented to have been recorded, it apparently was deemed inappropriate for the arrangement and was left off or recorded over. 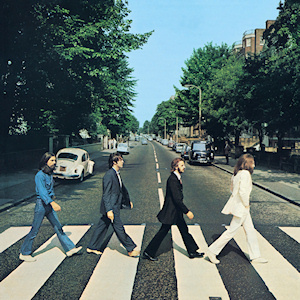 CLICK HERE TO LISTEN TO A BRIEF AUDIO HISTORY OF THIS SONG ON OUR PARTNER WEBSITE "THE BEATLES SONG BY SONG"
On October 1st, 1969, the final recorded Beatles album was released in America, simple titled "Abbey Road." The "Let It Be" album, which was released later on May 18th, 1970, was pretty much in the can at the end of January 1969 but was held up ultimately so that it could be released in conjunction with the movie of the same name that contained the music therein. 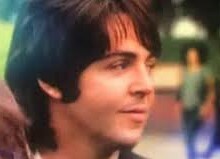 "Something" was the second track on the "Abbey Road" album which created a very impressive transistion from the thumping rocker "Come Together" which started the LP off. The album took only three weeks to jump into the top spot on the Billboard album chart, raking in a total of eleven weeks in the #1 position. The album first appeared on compact disc on October 10th, 1987, and then as a re-mastered release on September 9th, 2009. 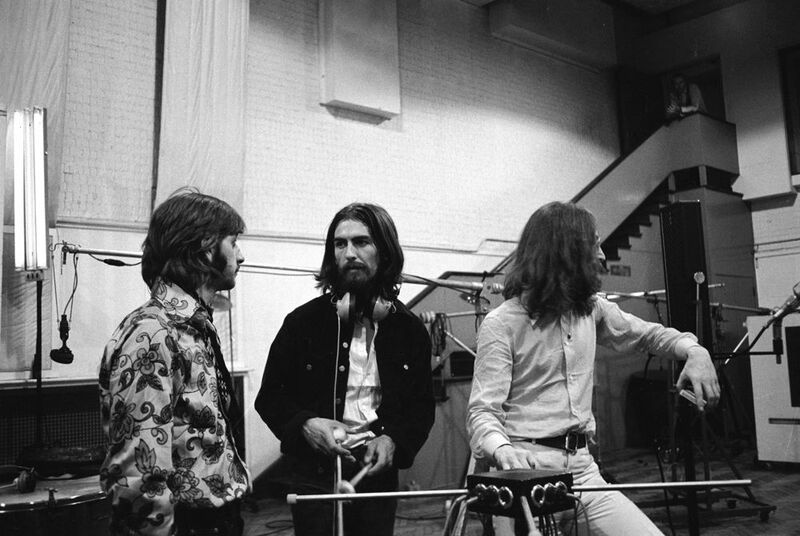 On October 6th, 1969, five days after “Abbey Road” was first released in the U.S., the first two tracks on the album were released as a single, “Come Together” and “Something,” the latter being placed as the A-side due to its overwhelming commercial appeal. 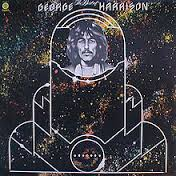 The Beatles new manager Allen Klein personally selected "Something" to be the A-side of this single because, according to Klein's associate Allan Steckler, "Klein believed in George's talent and wanted to enhance his reputation as a songwriter." With both sides of the single getting extensive airplay, Billboard magazine charted both “Something” and “Come Together” as a joint #1 single the week of November 29th, 1969. The next official release of the song was on April 2nd, 1973, on the second of two double-compilation albums released on that day, namely “The Beatles / 1967-1970” (aka, the “Blue Album”). 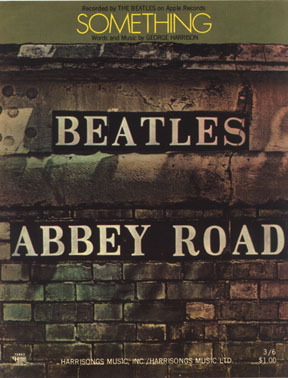 “Something” was featured as the third track on side four, still following “Come Together” as it had on the “Abbey Road” album. This #1 album was first released on compact disc on September 20th, 1993 and then as a re-mastered re-release on August 10th, 2010. Interestingly, in the mid 1970's, all four individual Beatles had solo "Greatest Hits" albums released, but only one of them dipped into their contributions to The Beatles catalog. "The Best Of George Harrison," which was released on November 8th, 1976, contained seven Harrison-penned Beatles songs on side one and six solo compositions on side two. 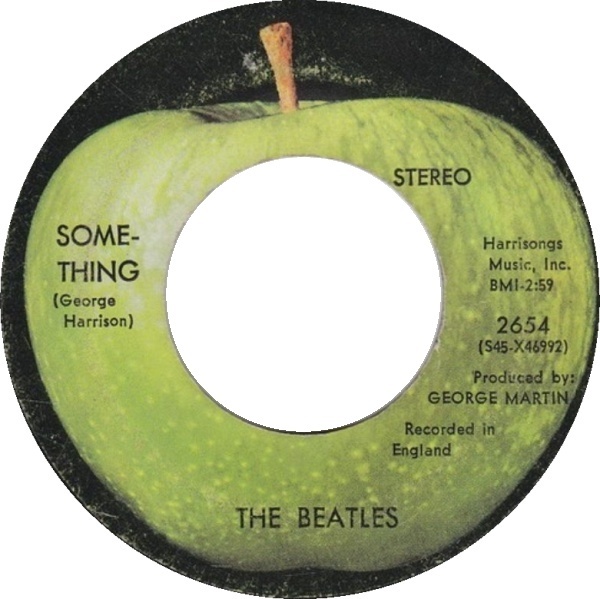 "Something" was chosen as the lead off track of side one, undoubtedly because it was viewed as his most successful composition during the Beatles years. The album peaked at #31 on the Billboard album chart and was released on CD in 1987. On October 21st, 1977, Capitol released yet another double-compilation album entitled “Love Songs,” which featured the lighter ballads the band had released during their career. This album was to be viewed somewhat as a companion release to the “Rock 'n' Roll Music” double-album that came out the previous year that featured the harder-edged songs of the group. 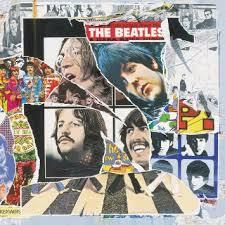 Being the opening song of side two, “Something” finally shook off its connection to “Come Together” which wouldn't have fit the format of this album. The LP was mildly successful, peaking at #24 on the Billboard album chart, although it is said to have sold over three million copies throughout the years. 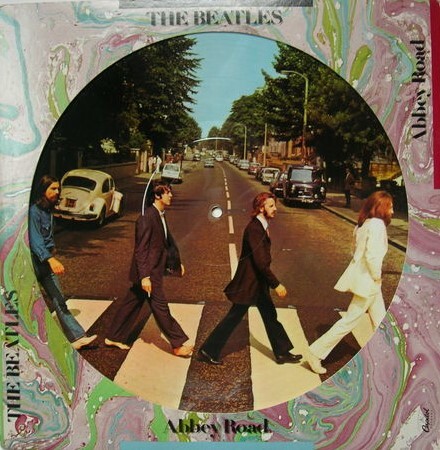 Sometime in 1978, Capitol re-released the "Abbey Road" album as a picture disc. Side one had the iconic front cover while side two contained a close-up of the wall photo of the back cover minus the song title listings. This release quickly went out of print and has become a collector's item. Capitol re-released the original “Something / Come Together” single in January of 1994 on their “For Jukeboxes Only” Cema series, this single being printed in limited supply on blue vinyl and is highly collectible. 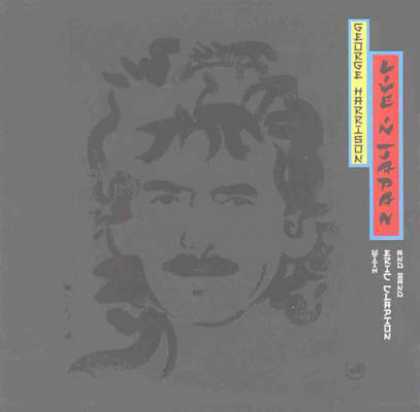 George's original demo of “Something,” as recorded on February 25th, 1969 and described above, was released in all its glory on the compilation album “Anthology 3” on October 28th, 1996. George Martin couldn't resist releasing all three of George's excellent demos that he recorded on his 26th birthday, “All Things Must Pass” and “Old Brown Shoe” included, on this compilation, feeling the world needed to hear the intricacy and beauty of all three. 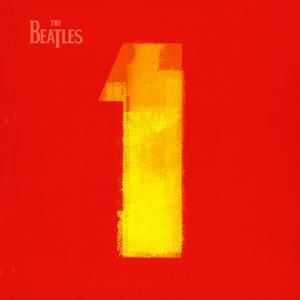 On November 13th, 2000, Apple released the highly successful single CD “Beatles 1” containing 27 songs, all of which hit the top position on the charts either in Britain or America. Since “Something” topped the charts in the U.S., it earned its rightful place on this excellent compilation album. This album itself topped the album charts worldwide and sold over 31 million copies as of 2017. A re-mastered version of the CD was released in September of 2011, while a newly re-mixed version was released on November 6th, 2015. 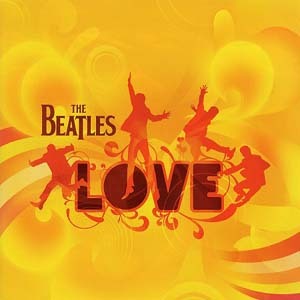 The above described new mix/mashup of “Something” was contained on the November 20th, 2006 release “Love,” which was put together by George and Giles Martin to be used in conjunction with the Cirque du Soleil show of the same name. The track was titled “Something (with 'Blue Jay Way' transition)” which combined elements of both songs as well as others. This successful album peaked at #4 on the Billboard album chart. 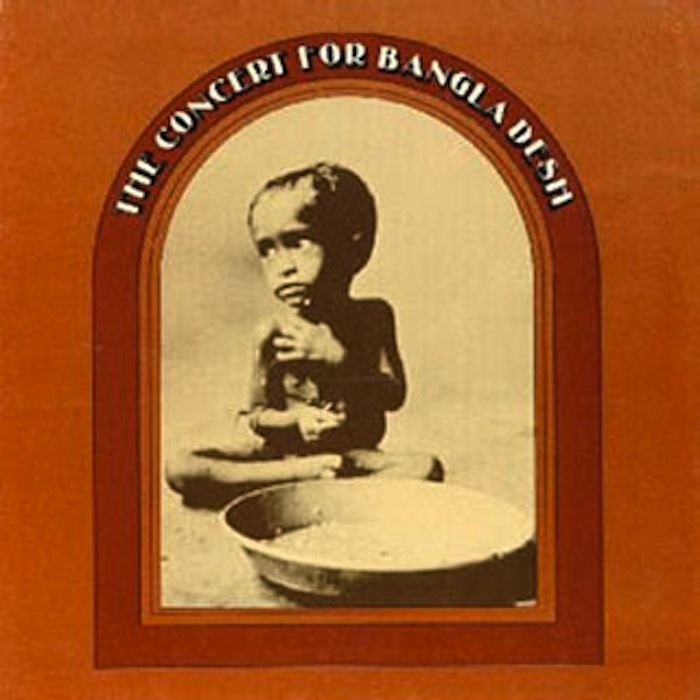 Not to be forgotten are both George Harrison live albums that contain “Something,” the first being “The Concert For Bangladesh,” which was released on December 20th, 1971 and reached #2 on the Billboard album chart. 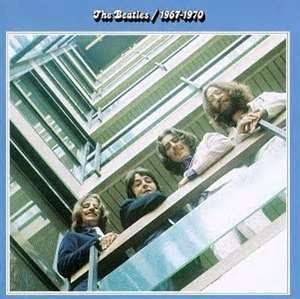 So respected was this triple-album that it won the Grammy for “Album Of The Year” in 1973. It first appeared on compact disc on July 30th, 1991 and then as a re-mastered release on October 24th, 2005. The second album to feature George performing “Something” on stage was “Live In Japan,” which was released on July 13th, 1992. While peaking at a disappointing #126 on the Billboard album chart, reviews were very favorable. For instance, AllMusic editor Stephen Thomas Erlewine says that it “easily surpasses Paul McCartney's double-disc 'Tripping The Live Fantastic' or 'Paul Is Live.' Not bad for a guy who doesn't like to give concerts." Paul took to performing tribute performances of "Something" during his shows, three live renditions being released in the U.S.. 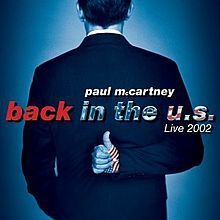 The first was Paul's "Back In The U.S." album, which was recorded somewhere between April 1st and May 18th, 2002 and released on November 11th, 2002. The second was "Concert For George," which was performed on November 29th, 2002 and released on November 17th, 2003. The third was Paul's "Good Evening New York City," this performance being recorded sometime between July 17th and 21st, 2009 and released on November 17th, 2009. By October of 1969, The Beatles were well past the live performance stage of their career, so they never performed "Something" live as a group. 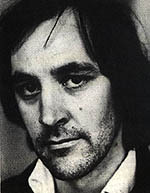 However, as a means of promoting the single, a film clip was made by Apple Films, produced by longtime roadie and associate Neil Aspinall, to be shown on television. The Beatles couldn't be bothered to appear together, they all pretty much going their separate ways after “Abbey Road” was complete, but they all agreed to be filmed separately at their individual residences so that Neil could create a composite film clip. The footage is thought to have been filmed sometime in October of 1969. Appropriate for the lyrical content of the song, each Beatle was filmed in outdoor settings with his wife. John and Yoko were filmed at 'Tittenhurst,' their new home near Ascot, George and Pattie were at 'Kinfauns' in Esher, and Ringo and Maureen were at their 'Brookfield' home in Elstead. 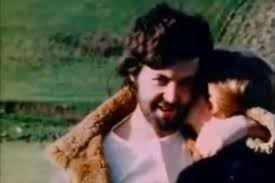 As for Paul and Linda, after the album was done they quickly retreated to Paul's Scottish farm on the Mull of Kintyre, staying there almost until Christmas that year. In order to cooperate with the proceedings, he agreed to send film footage of him and Linda, so he tied a camera to the back of a tractor, stepped back to show himself and Linda in the picture, and then sent the film to Neil for inclusion in the film clip. This charming promo film was shown only once in Britain, on the BBC1 show “Top Of The Pops” on November 13th, 1969, although it was only in black and white. It was also seen in the U.S. on the show “Music Scene” in the later months of 1969. 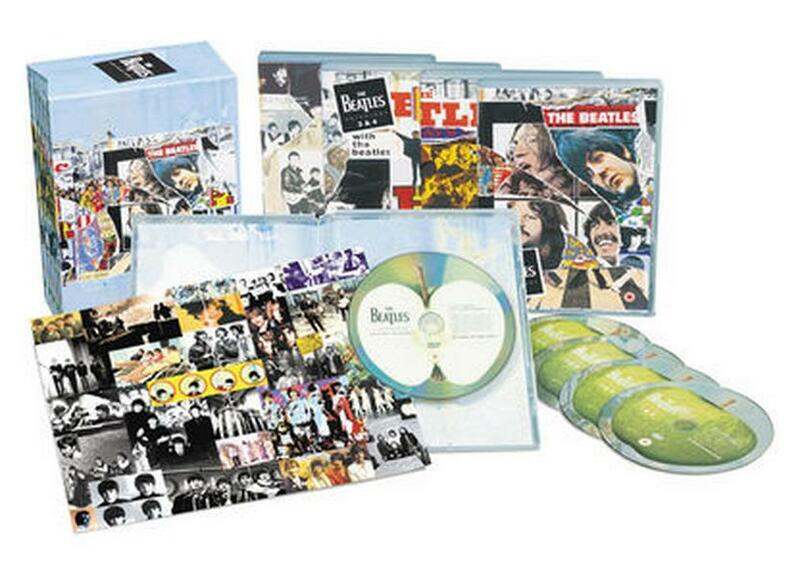 It was, however, included within the “Anthology” TV series and video release of 1995 as well as in a remarkably restored condition on the “Beatles 1+” DVD / Blu-Ray box set released on November 6th, 2015. 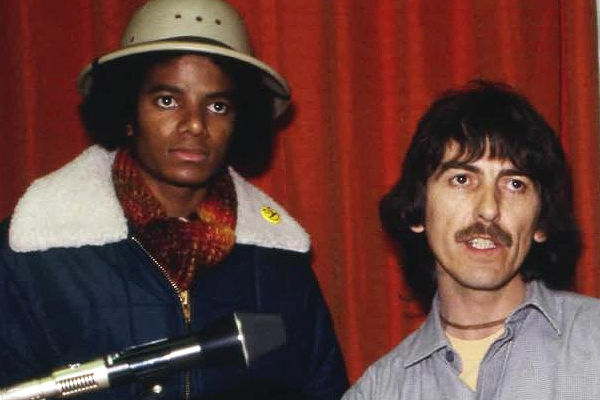 Although George didn't have an extensive stage career after The Beatles, he was proud enough of “Something” to include it in many appearances he did make. 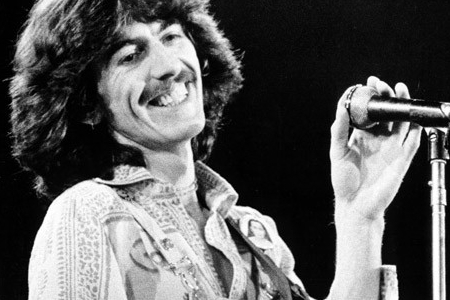 The legendary “Concert For Bangladesh,” held at Madison Square Garden in New York City on August 1st, 1971, included the song for both shows, “Something” being the second song George performed for the afternoon show and the next-to-last song for the evening performance. 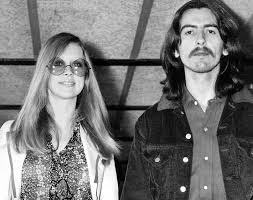 The song was also in the set list for George's 1974 North American Tour, which stretched from November 2nd (Vancouver, British Colombia) to December 20th (Madison Square Garden, New York City). Interestingly, during these 1974 performances George would habitually change the lyrics in the bridge from "I don't know" to "I hope so." George's brief tour of Japan in December of 1991 included the song as well, this tour stretching from December 1st (Yokohama) to the 17th (Tokyo). A different lyrical change to the song has been heard during some of these Japanese shows, namely "You stick around, Jack, it might show" in imitation to Frank Sinatra's rendition of the song. His final full concert performance was on April 6th, 1992 at London's Royal Albert Hall with Ringo on drums. “Something” was included in this set list which consisted primarily of the same songs as his Japanese tour from four months prior. 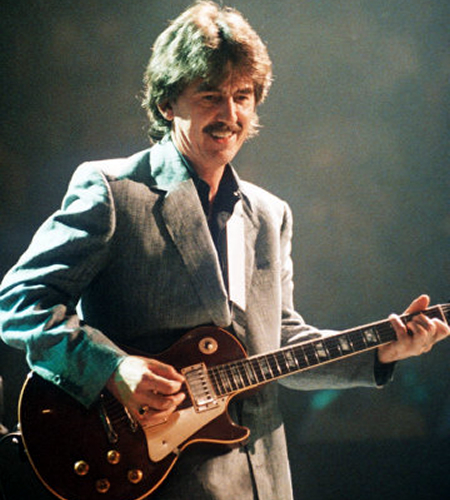 After George's death, Paul thought to put together a performance of "Something," what he viewed as his best composition, as a tribute to his former bandmate during his tours. 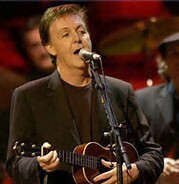 First off, Paul's rendition of "Something," which partially included him playing a good portion of the song on George's later instrument of choice, the ukulele, was included on his "Driving World" tour, which stretched from April 1st (Oakland, California) to November 18th, 2002 (Osoka, Japan). Then came Paul's performance at the "Concert For George," which occured on November 29th, 2002 at London's Royal Albert Hall. He then included it in his "Back In The World" tour, spanning from March 25th (Paris, France) to June 1st, 2003 (Liverpool, England). The song was also included in the "Summer Live '09" tour, stretching from July 17th (Citi Field, New York City, New York) to August 19th, 2009 (Arlington, Texas). Then came the "Good Evening Europe" tour, spanning from December 2nd (Hamburg, Germany) to December 22nd, 2009 (London, England). Next was the "Up And Coming" tour, stretching from March 28th, 2010 (Glendale, California) to June 10th, 2011 (Las Vegas, Nevada). His "On The Run" tour was next, which spanned from July 15th, 2011 (New York City, New York) to November 29th, 2012 (Edmonton, Canada). He also included the song in his "Out There" tour, which stretched from May 4th, 2013 (Belo Horizonte, Brazil) to October 22nd, 2015 (Buffalo, New York). His "One To One" tour also includes the song, this tour spanning from April 13th, 2016 (Fresno, California) to December 16th, 2017 (Aukland, New Zealand). During a good portion of The Beatles career, it would be easy to recognize the George Harrison composition or two on a Beatles album. 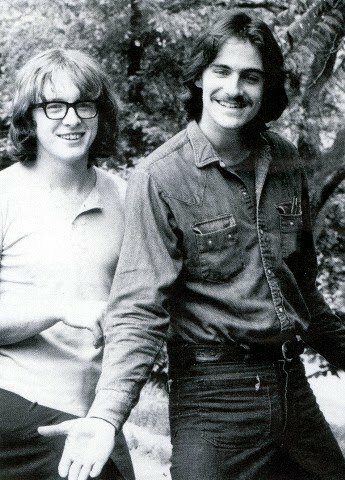 Although they were respectable components to the LP, they may nonetheless have been viewed as token offerings allowed as a favor to the flegling songwriter. "Come Together" PREVIOUS - NEXT "Maxwell's Silver Hammer"
Sign Up Below for our MONTHLY BEATLES TRIVIA QUIZ!